HEARTH Homeschool Homies and their “Reverse Hunger” sculpture. 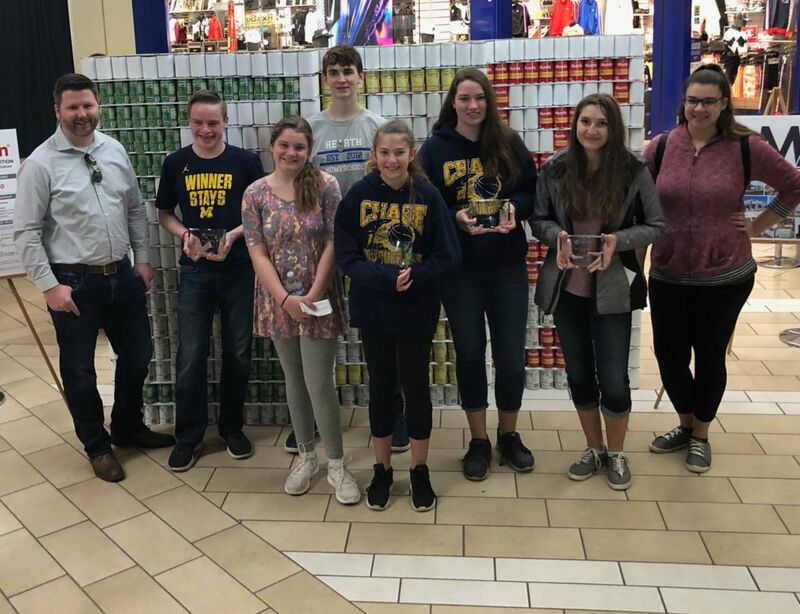 Two local teams provided nearly 5,000 cans of food — enough to provide 7,500 meals for families in need — during the first annual Flint area Canstruction competition in March. The HEARTH Homeschool team won four awards: Structural Ingenuity; Best of Use of Labels; Best Original Design; and Most Cans. The Girl Scouts won Best Meal and People’s Choice. 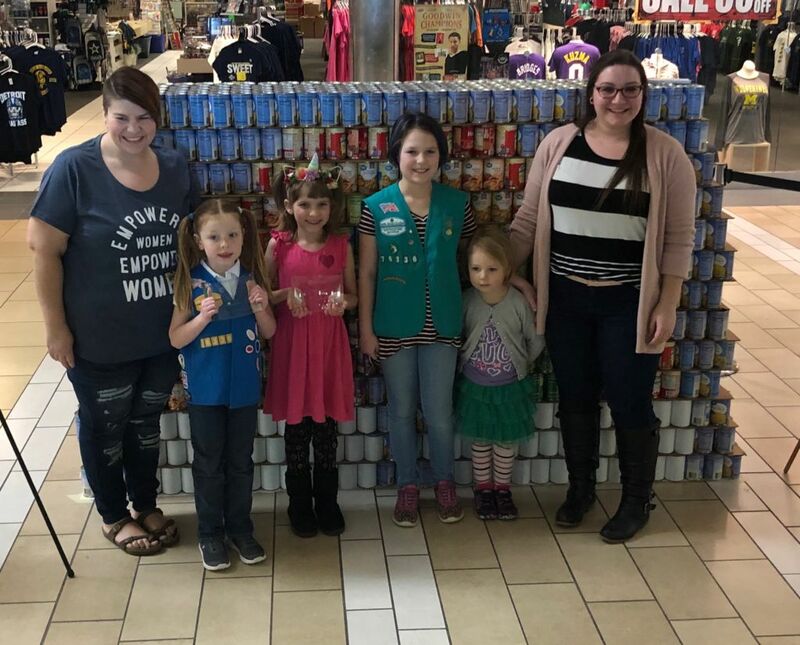 Girl Scout Troop 76336 and their “Rainbow of Kindness” sculpture. Walmart donated all of the canned goods used in both sculptures. HAP, Charter Township of Flint, and the Genesee Valley Center served as sponsors for the competition. Architects from H2A Architects, Sedgewick + Ferweda Architects, and AMAG served as volunteer mentors for each team to assist with the designs. Judges included representatives from Walmart, HAP, Charter Township of Flint, and the Flint Firebirds. Canstruction competitions are hosted all over the world, with all cans being donated to local food banks at the conclusion of each competition. The organization was founded in 1992 and has generated more than 50 million pounds of food for food banks since its founding.